Bobby has been entertaining audiences for over 40 years. He has performed with his band, The Crosstones since 1975. In addition to the Crosstones, Bobby has been involved with the PBS TV Oldies Specials, performing with top ten recording artists, The Teddy Bears and The Safaris. He has also performed in concert as bandleader, guitarist and vocalist with Brian Hyland ("Sealed With A Kiss", "Itsy Bitsy Teenie Weenie Yellow Polka Dot Bikini"), Johnny Tillotson ("Poetry In Motion", "It Keeps Right On A-Hurtin", "Send Me The Pillow You Dream On", "Talk Back Tremblin' Lips"), Freddy Cannon ("Palisades Park", "Way Down Yonder In New Orleans", Tallahassee Lassie"), Tommy Roe ("Sheila", "Sweet Pea", "Hooray For Hazel", "Dizzy"), The Mello Kings ("Tonite Tonite"), Don & Juan ("What's Your Name") and many others. 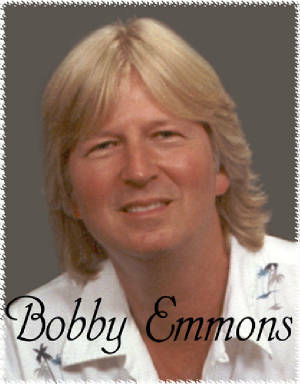 Bobby has worked in radio since 1998, sharing the microphone "on stage" and "over the airwaves" with Frankie Valli, B.J. Thomas, Little Anthony, The Monkees, The Beach Boys, The Rolling Stones and Tommy James to name a few. In addition, Bobby is currently working with Mike Amalfa and John Johnson from his High School Band! He loves performing for all ages and has a special affinity for our seniors. also check out "THE CROSSTONES"